A new substation for SURGE2 is being built at the WaveRoller site in Peniche, Portugal. AWE calls for suppliers for WaveRoller production roll-out phase. The company aims to support local production in all its WaveRoller projects. AW-Energy have now completed the first step in building a new substation for their SURGE2 project in Peniche, Portugal, as groundwork for a new concrete foundation is finished. 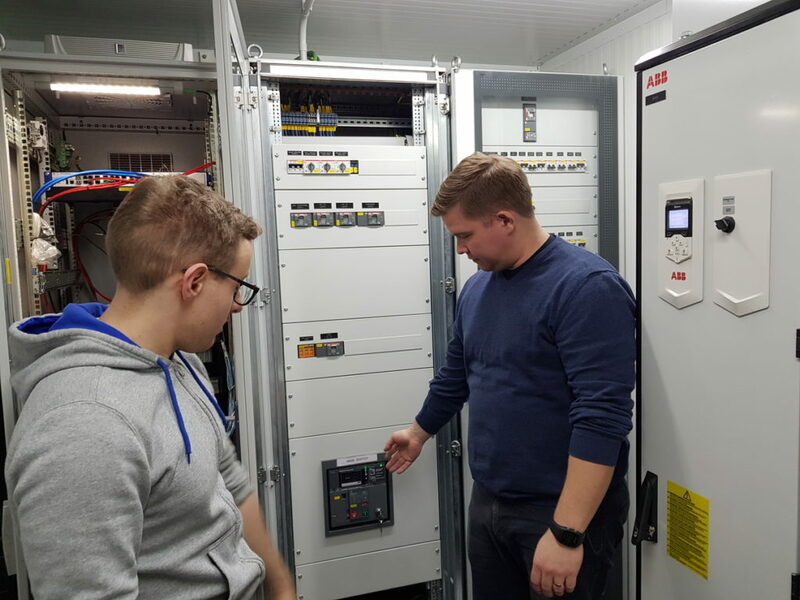 – The previous substation used for project SURGE (2012 – 2014) is replaced by an improved new substation with a higher rating, which is better suited for project deliveries and the maritime climate, says CTO of AW-Energy Jussi Åkerberg. The substation, located on land, connects the WaveRoller device to the grid using transformers, frequency converters and other electrical components. Abeinsa Engineering has been responsible for the project coordination of the new substation detailed design and manufacturing. The supplier of the substation is PROinSENER Energía. Abeinsa Engineering and PROinSENER Energía are both Spanish companies. AWE has worked with a solid supply base to build the First-of-a-Kind WaveRoller unit (FOAK) and to ensure serial production capacity, AWE has started the development of its supply chain. Supporting and advancing local production at WaveRoller project sites is a high priority. – In our view WaveRoller projects should benefit local business and employment, which is why we aim to set up a supply chain that supports this goal, says AW-Energy CEO Christopher Ridgewell. AWE is now sourcing new goods and service suppliers globally including steel works, castings, machining, bearings, hydraulic components, electrical components and several other procurement categories. – AW-Energy Oy is preparing for the production roll-out phase in customer programs in the pipeline. The key to success in enabling WaveRoller production is an efficient and reliable supply chain with first-class suppliers and sub-contractors, says AW-Energy Procurement Manager Jani Perälä. AWE expects the potential suppliers to support AWE to meet the cost-efficient and reliable ramp-up of WaveRoller production. Previous similar references from renewable energy, marine or offshore industry applications are a merit when considering the best suppliers for WaveRoller projects. Standard quality requirements are to be met by the supplier. Sufficient management systems certified by reputable accreditation body are also a requirement and any interested suppliers should be able to demonstrate to AWE a satisfactory level of quality assurance activities. – AWE also appreciates willingness and capability to jointly develop WaveRoller specifications to advance productivity, Perälä adds.